1: Hopkins' Bloomberg School of Public Health ranking for its master's and doctoral programs. (Harvard and University of North Carolina tied for 2nd.) Hopkins Public Health last captured the #1 spot in 2000. 1: Ranking for Medicine's specialty in drug/alcohol abuse (tied with Harvard and Columbia). Hopkins' ranking in other specialties: Geriatrics-1st; Internal medicine-2nd; Women's health-4th; AIDS-2nd; Pediatrics-3rd. 6: Hopkins School of Nursing master's degree program ranking, tied with Oregon Health Sciences. University of Washington captured the #1 spot. In the community health specialty, Hopkins Nursing ranked 2nd (behind UWash). 22: Hopkins' Whiting School of Engineering ranking, tied with University of Minnesota. That's up from a #24 ranking in 2002, and #27 in 2001. 1: Ranking for Hopkins' bioengineering / biomedical program, a repeat of last year's top showing. JHU's environmental engineering program garnered a #4 ranking, up from #5 last year. Stats: BS '89, MSE '91, PhD '94, all in computer science, all from the University of Michigan Scouting Report: "Avi's ability to integrate practical and theoretical issues will significantly influence the evolving curriculum of our new master's program," says institute director Gerald Masson. Research: Studying application of computer security to medical problems: privacy of medical records, secure transfer of information, legal compliance, etc. Also looking at Internet routing, especially the Border Gateway Protocol. "If BGP were compromised, it would pretty much bring down the Internet. Right now, I think it's pretty vulnerable." Wants to work on a design to make it more secure. What makes institutional computer security difficult: "There are all kinds of challenges for managing a large group of people. Password management is one challenge. People who pick really good passwords tend to forget them. If somebody calls up and says, 'I forgot my password,' do you issue them a new password right away? How do you know it's the right person on the phone?" Mentor: Steve Bellovin, senior researcher at AT&T Labs, who co-authored with William Cheswick Firewalls and Internet Security: Repelling the Wily Hacker. "That was the first computer security book ever, and a bestseller. They just did the second edition, and invited me in on the project. I couldn't believe it." Alternate career: "I don't know. Maybe become a professional golfer." Obsession: Pocket billiards. "I play about an hour a day. About three years ago I convinced my wife that since we weren't using our living room, I should be able to buy a pool table. Of all my accomplishments in my life to date, I think that was the biggest." Scientists and engineers at Johns Hopkins who operate the orbiting Far Ultraviolet Spectroscopic Explorer (FUSE) took a break on April 21 to celebrate a new milestone in the observatory's history: the end of its planned mission. Originally funded for three years, FUSE had crossed the finish line, delayed just a few months by a brief shutdown in late 2001. The party on April 21 was also called to celebrate the official start of a 3.5-year mission extension that FUSE won from NASA in 2002. "FUSE was oversubscribed by a factor of three in the last go-round, and I'm anticipating that there will continue to be high demand," says Physics and Astronomy's Bill Blair, chief of observatory operations for FUSE. "We have observed 1,700 unique targets and obtained just shy of 29 million seconds of data in the first three years," he says. "The astronomers who have used FUSE had already produced 146 refereed papers by our last tally." After the celebrations, FUSE organizers had to get back to work on a "brain transplant" on three of the satellite's computers-a transplant aimed at ensuring the longevity of the satellite, which has already proven its toughness by overcoming dramatic challenges both in orbit and prior to launch. Marc Ostermeier, assistant professor of chemical and biomolecular engineering, and doctoral student Gurkan Guntas reported on the technique at the annual meeting of the American Chemical Society in March. "I started studying with voice instructor Stanley Cornett at Peabody in 1989 and stayed with him for as long as my career could stand me traveling regularly from New York to Baltimore for lessons. There was no point in my finding another teacher because Stanley is so brilliant. "You can imagine my 20-something face falling to the ground. It was a bust-of my failing technique and my ego that was getting out of control. No longer am I stupid enough to [rely solely] on what other people say. Now I go into my heart and soul to keep making [my music] better and better-by staying true to my technique and true to the music." Soprano Allison B. Charney, Peab '91, '94, was a national finalist in the Metropolitan Opera National Council Competition in 1993. She made her debut with the New York City Opera at Lincoln Center in 1994 as Musetta in La Boheme. Since that time she has performed title roles with opera companies all over the country. The Hopkins-Nanjing Center for Chinese and American Studies ended the spring semester early, on April 22, as a precaution against severe acute respiratory syndrome (SARS). There'd been no cases of SARS reported at the center or in Nanjing, officials noted, adding that certificates would be awarded to all students studying in the yearlong program, despite the early end of classes (the semester was originally scheduled to wind up on June 6). 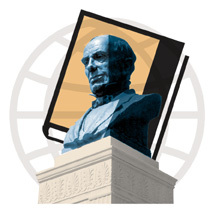 Earlier in April, Hopkins president William R. Brody issued a broadcast e-mail urging the Johns Hopkins community to consider seriously any plans they might have for international travel. "Given both the current level of international tension and the emerging situation involving [SARS], we recommend that such travel be taken only if absolutely necessary," he said. The world's non-profit sector engages nearly 40 million people and has annual expenditures of $1.3 trillion, larger than the gross domestic product of all but the six largest countries, according to a study directed by Lester M. Salamon, who heads the Johns Hopkins Center for Civil Society Studies. The data "make clear that the nonprofit sector is a potent presence not only in the developed countries of Europe and North America but also in the developing countries of Africa, the Middle East, and South Asia," Salamon noted. The study was conducted by 150 researchers in 35 countries around the world. Hopkins' Nitze School of Advanced International Studies has named Marisa R. Lino, former U.S. ambassador to Albania, as the new director of its Bologna Center. The post is her third in Italy; she previously served the State Department as consul general in Florence (1990 to 1993) and Rome (1983 to 1985). Lino succeeds Robert Evans, who retired after 11 years at the post. Instructor: Daniel Sheridan, assistant professor at Hopkins' School of Nursing and a forensic clinical nurse specialist at Johns Hopkins Hospital. Course Description: The course presents an overview of the development of forensic nursing as a nursing specialty formally recognized by the American Nurses Association. Simply defined, forensic nursing explores areas (child and family abuse, sexual assault, and death investigation) in which nursing practice overlaps with the legal system. Students are introduced to the principles of thorough evidence collection and preservation, and learn appropriate written and photographic documentation in the health record. The course also provides an overview of the judicial system and an introduction to forensic wound identification. Empowering Survivors of Abuse: Healthcare for Battered Women and Their Children, J.C. Campbell, editor (1998). Practical Homicide Investigation: Tactics, Procedures, and Forensic Technique, 3rd edition, V.J. Goberth (1996). Color Atlas of Sexual Assault, B.W. Girardin, D.K. Faugno, P. C. Seneski, L. Slaughter, and M. Whelan (1997). Forensic Emergency Medicine, J.S. Olshaker, M.C. Jackson, and W.S. Smock, editors (2001). Domestic Violence and Healthcare: What Every Professional Needs to Know, S.L. Shornstein (1997). Nursing Documentation: Legal Focus Across Practice Settings, S.E. Meiner (1999). PPE: Personal Protective Equipment; includes everything from rubber hoods and gas masks to chemical impervious suits and aprons. WMD: Weapons of Mass Destruction-formerly known as NBC, or Nuclear, Biological, and Chemical weapons. The designation changed post 9/11 because NBC didn't include incendiary (or potentially incendiary) devices ... like airplanes. BW: Biological Weapons. Includes the six agents considered most likely to be used in a bioterrorist attack: smallpox, plague, botulism, tularemia, viral hemorrhagic fevers, and anthrax. MCE: Mass Casualty Event. Can be used almost interchangeably with "large scale event" (below), although there is a difference in magnitude: "If a building collapses, it's a large scale event," says Christina Catlett, deputy director of CEPAR. "If there are a lot of people in the building, it's an MCE." LSE: Large Scale Events that "really tax the emergency or healthcare systems." These used to be plane crashes, train accidents, and building fires. "In the new era," says Catlett, "we worry about WMD causing MCE. WMDs can have hundreds or thousands of victims." Surge Capacity: Amount of additional in- and/or outpatient care a hospital can provide when pressed into an MCE. The Worried Well: Those who "freak out" after an LSE, rushing to emergency rooms with psychosomatic or stress symptoms even though "there isn't anything wrong with them." Johns Hopkins researchers have identified a common version of a gene known as klotho as a potent risk factor for early-onset atherosclerosis. Using information and samples gleaned from two earlier studies of patients at high risk of heart disease, the researchers found that those with at least one copy of the klotho gene are almost twice as likely to have undetected atherosclerosis than others. Smokers with low levels of "good" cholesterol had a 10-fold greater risk if they had this gene variant. "If you knew you had this version of klotho, should you keep smoking? Should you exercise more? Eat better? Lose weight?" asks Hal Dietz, a Howard Hughes Medical Institute associate investigator and professor of pediatrics and molecular biology and genetics at Johns Hopkins. "This gene variant appears to be a potent risk factor for atherosclerosis." Adds Dietz, "You have to be very careful with association-type studies like ours, but what we've seen here is not a subtle trend but a strong observation in two independent study populations." Dietz and his colleagues published their findings in the May issue of the American Journal of Human Genetics. Johns Hopkins scientists using MRI (magnetic resonance imaging) have successfully measured sodium concentration in malignant brain tumors, in what's believed to be a first-of-its-kind study. Because such cancers are linked to elevated sodium levels, finding an easy way to identify precise sodium concentrations at the time malignant lesions are identified could greatly improve diagnosis and treatment, says Hopkins radiology instructor Ronald Ouwerkerk: "Using MRI noninvasively in a single examination to get information about tumor metabolism and physiology improves identification of tumor malignancy and is a big step forward." Ouwerkerk and his colleagues reported their findings in the May 1 issue of Radiology. The three-day Spring Fair 2003, which drew thousands to the Homewood campus for food, crafts, music, and rides, marked the culmination of eight solid months of planning for executive co-chair Daniel Coleman '03 and fellow student organizers. How did Coleman fare on the fair's opening day? 6 a.m. Coleman meets Spring Fair staff in front of Levering Hall to begin setup. They'll have to hustle to be ready for the kick-off at noon. 7:30 a.m. Vendors and non-profit groups begin to arrive and set up, directed by students carrying walkie-talkies. A few cars remain in the Garland parking lot, impeding setup; Coleman works with Campus Security to have them moved. 10 a.m. Coleman meets with Dave Taylor from Homewood's electrical shop to secure electric hookups for some student booths. 10:30 a.m. Despite a few glitches, Coleman says he's not stressed yet. The weather forecast includes a chance of afternoon showers. So far, however, the skies are clear. Noon Spring Fair opens to the public. Coleman meets with Lt. Mark Carter from Campus Security and discovers that some campus buildings lack student security guards. Spring Fair staffers Drew Stoddard and Brian Davis find members of the Alpha Phi Omega fraternity to fill in. 1:30 p.m. Coleman takes a quick break and tastes the spoils of months of planning: chicken on a stick and lemonade. Early afternoon: An electrical circuit being used by food vendors near Shriver Hall becomes overloaded -- "the only unexpected problem" of the day, according to Coleman. Luckily, the power was being used for lights, "so it didn't interrupt any cooking." Campus electricians quickly reset the circuit. 5:15 p.m.: Spring Fair staff mobilizes to begin breakdown for the day. The biggest mess: trash from the food vendor area between Shriver and Garland halls. Staffers get a helping hand from the Hopkins Christian Fellowship. 6 p.m.: Fair closes for the day. Coleman and the staff head to the O'Connor Recreation Center to begin setting up for tonight's concert, featuring Blackalicious and The Pharcyde. The idea of arranging a red ribbon in the form of a question mark came to Jim Williams in a flash one night, as he was churning over ideas for an HIV-AIDS education campaign. As deputy vice president at Hopkins' Center for Communication Programs, he headed the CCP's campaign to increase testing for HIV among those at high risk for the disease in Baltimore neighborhoods. Williams had been a former ad exec in New York. At CCP, which uses advertising techniques for health education, he'd found the appropriate symbols for health decision-making to be more elusive. Then inspiration struck. HIs variation of the red ribbon-used for years to signify a concern for AIDS-packed the necessary wallop. It served as the centerpiece for a health campaign, involving posters and billboards showing pictures of vibrant and healthy people living with AIDS, under the logo, "Live Long. Live Strong. Get Tested. Get Treatment." Reaction was immediate. In the month after the campaign began, calls to an AIDS referral hotline increased 1,500 percent, Williams reports. By the time the campaign (funded by the Maryland AIDS Administration of the state's Department of Health and Mental Hygiene) unfolded completely, the question mark and logo had appeared on 145,000 items, from Mousepads to T-shirts. In addition, the campaign supported over 115 health fairs, where health workers on site provided HIV testing through a simple saliva test, as well as follow-up counseling. At the end of three years, in December 2002, the Red Ribbon Question Mark Media Campaign claimed dramatic success. The AIDS rate had dropped by 24 percent in the targeted Baltimore neighborhoods-some 427 lives spared infection, Williams notes. And the campaign won the Gold Award from the National Public Health Information Coalition for best public information campaign in 2000.